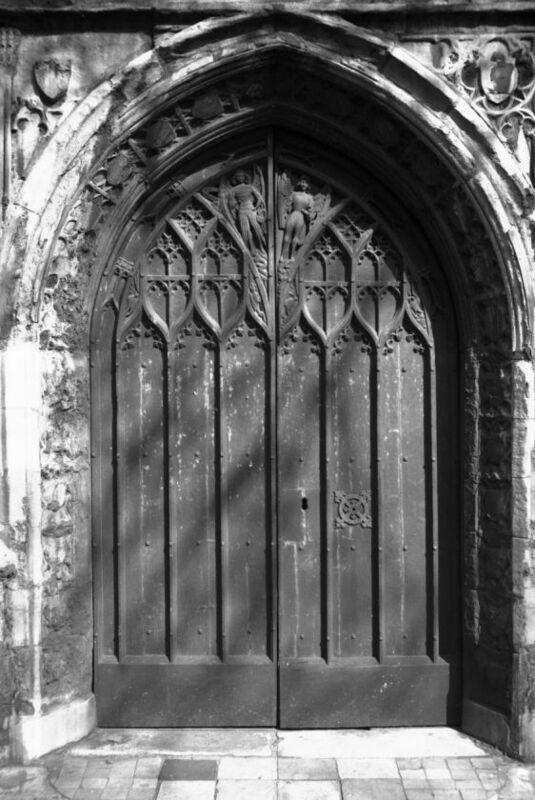 This church is no longer in use for anything. 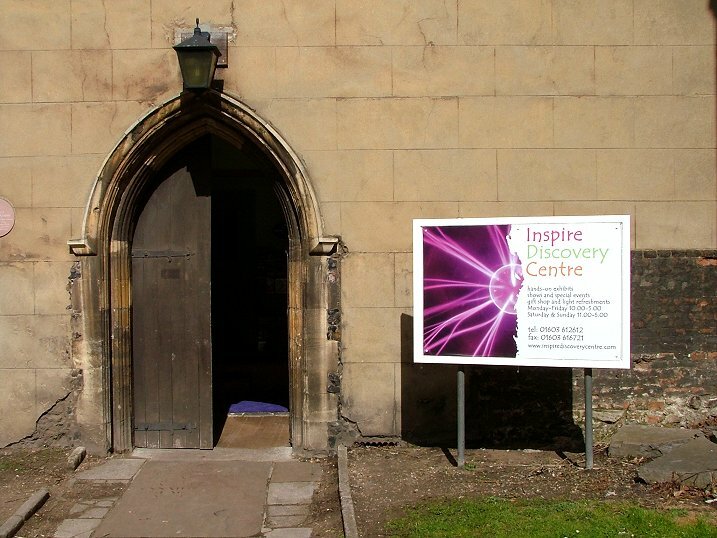 When I visited in 2006 it was the Inspire Discovery Centre. 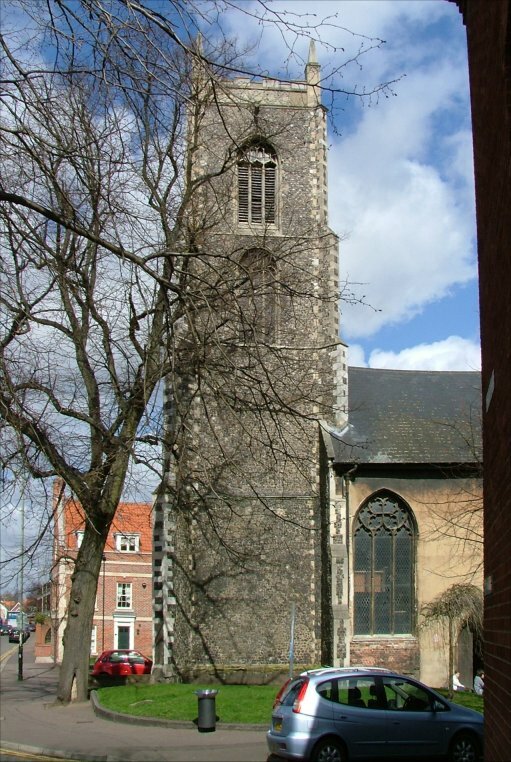 In 2006, I wrote: St Michael at Coslany is perhaps the most elegant and beautiful of the Norwich city centre churches. 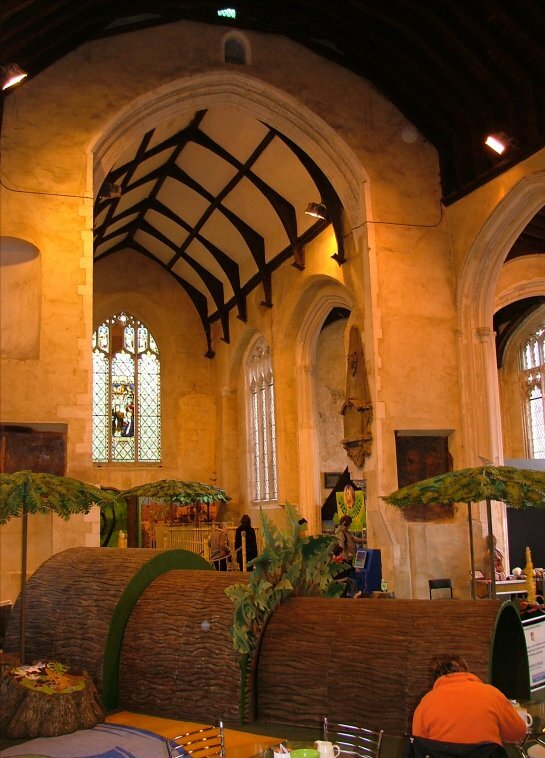 Here is early 16th century Perpendicular in all its glory, with stunning flushwork across the east end and the aisles. We'll come back to this in a minute. 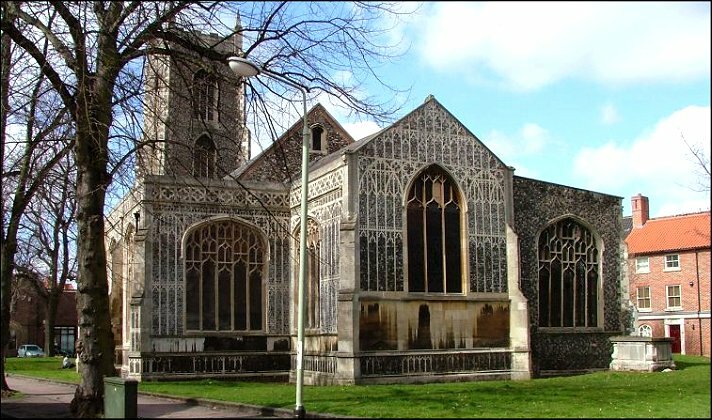 The south aisle is curious, because the west end of it is one bay short of the north aisle's west end. There must have been a simply enormous two-storey porch here at one time. Coslany was the heart of industrial inner-city Norwich, home to the city's biggest brewery and some of the world's largest shoe factories; but today, what survives of these buildings has been converted into hi-tech offices and trendy flats. As we approached the church, a little truck, looking a little like an ice cream van, came to a halt beside us, and began playing the Harry Lime theme. It wasn't selling ice creams, but sandwiches and coffee to office workers. St Michael is sometimes abbreviated to St Miles, and is recorded that way in old documents. 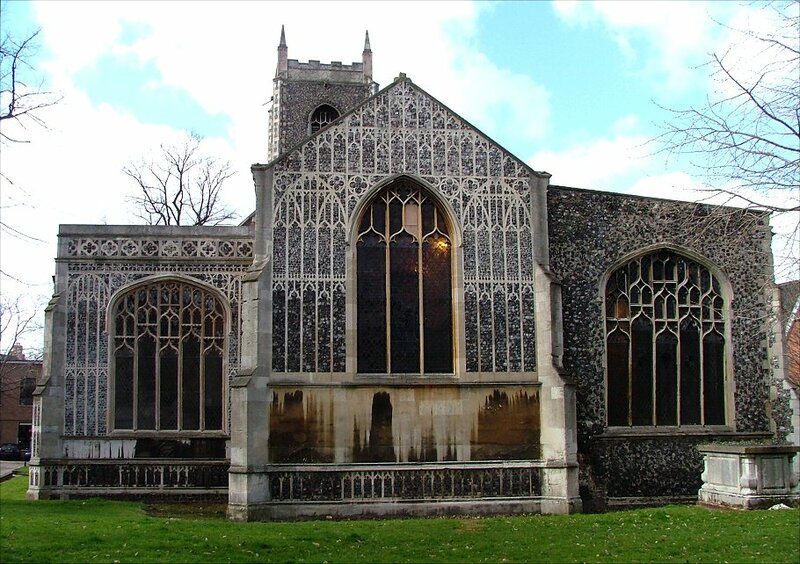 There were four churches dedicated to St Michael in the city, but St Miles always means this one. 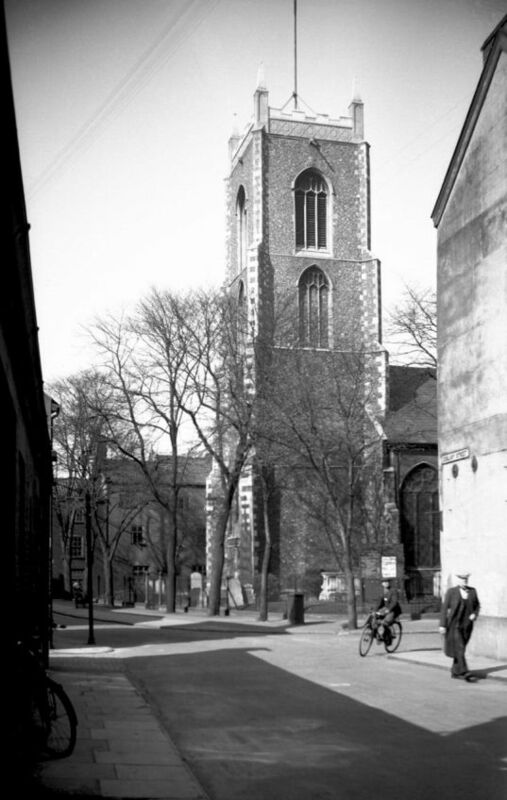 George Plunkett came this way on the last day of March 1938, and his photographs show a rather dour, urban Victorianised interior, probably fairly low church for Norwich. 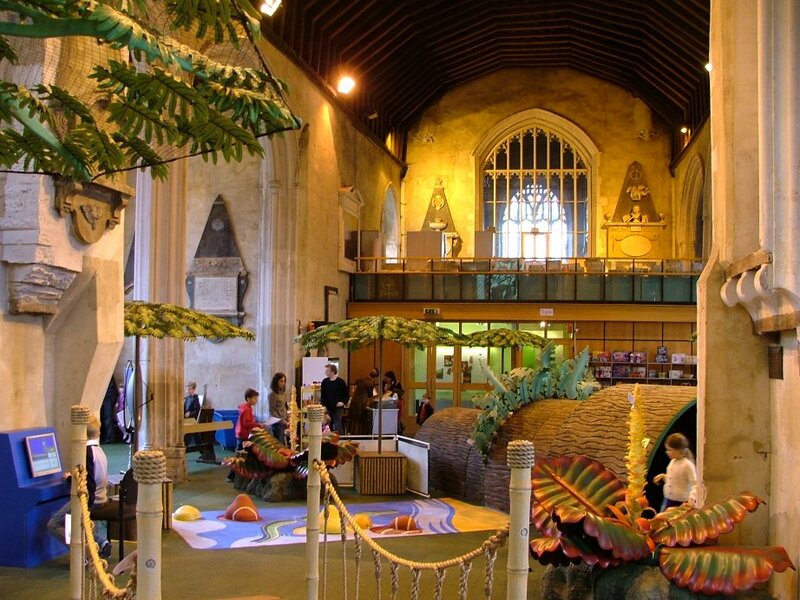 Today, the church is the home of the Inspire Discovery Centre, a 'hands-on' science exhibition, and the colourful interior is a dramatic contrast with that of nearly seventy years ago. 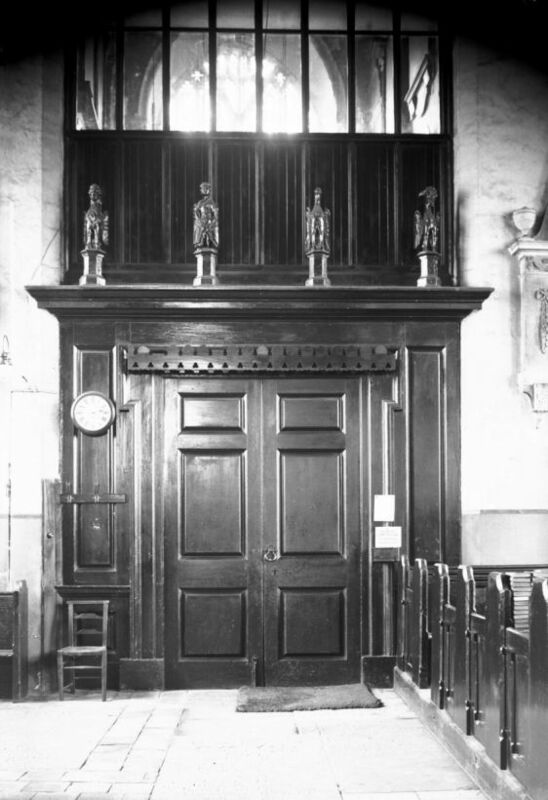 in 1938, the main entrance was from the west, but this is now closed off. 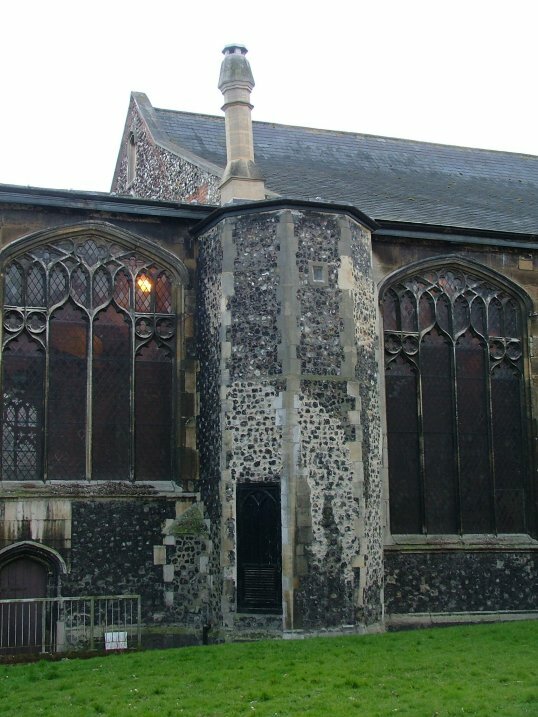 The area beneath the tower has been restored as a fine bell-ringing chamber, and these bells still ring out regularly across the city. 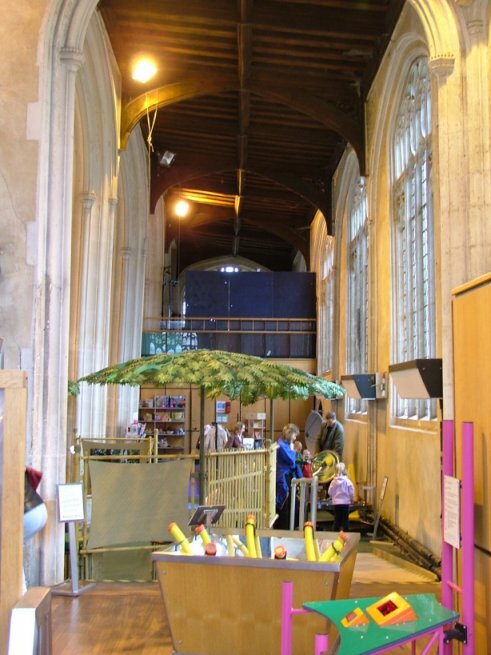 In the west end of the nave, are the offices, kitchen and toilets of the science centre, forming a kind of balcony which is not accessible by the public, but seems to be used for storage. 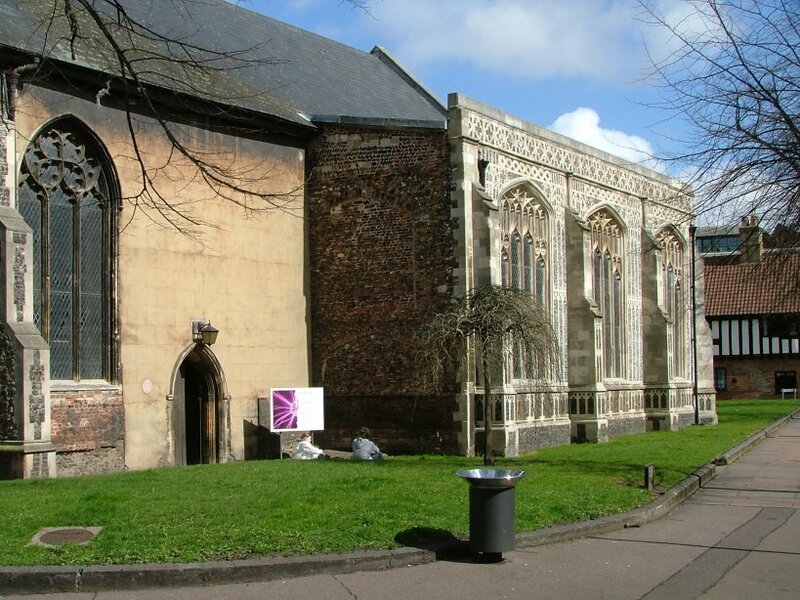 This structure, in fact, predates Inspire; for several years after redundancy in the 1970s, this building acted as a gymnasium for the Duke Street youth centre, and it was then that the balcony area was built to provide changing rooms. 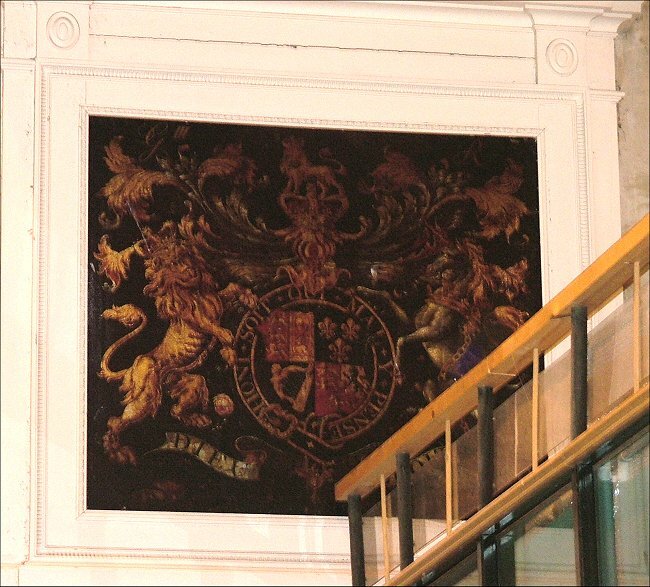 The balcony rail cuts rather awkwardly into the royal arms. You may think that the graveyard is rather short of headstones. This is partly because, until the end of the 19th century, what we now see as a large rectangle of green actually had several buildings in it. 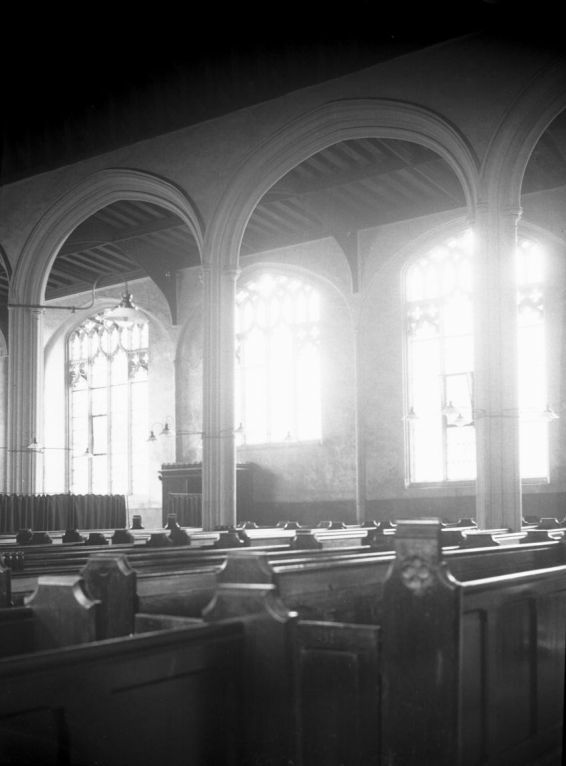 The east end of the chancel was blocked off, and the only light came through the aisle windows. 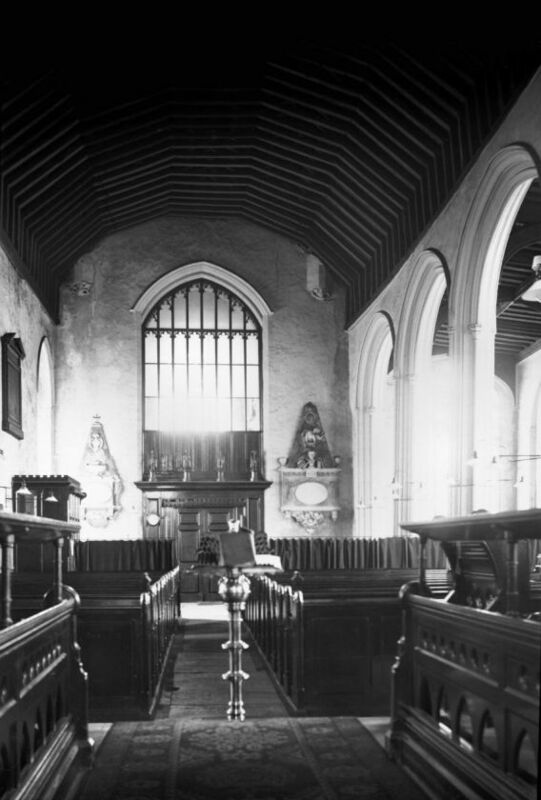 In the 1880s, the buildings were cleared and the east end of the chancel was rebuilt. Thus, the flushwork, which matches that of the aisles, is actually a piece of clever Victorian counterfeit. 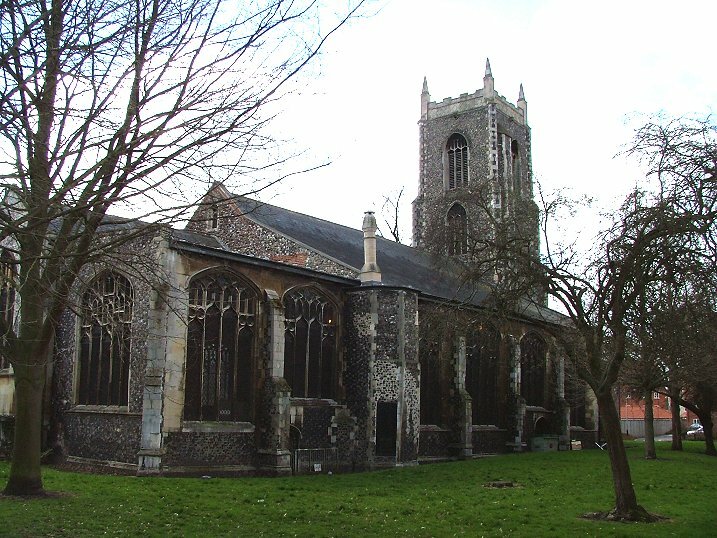 Spencer and Kent say that the work was carried out by one William Hubbard of Dereham. Stepping inside today, the main impression is of white lightness. 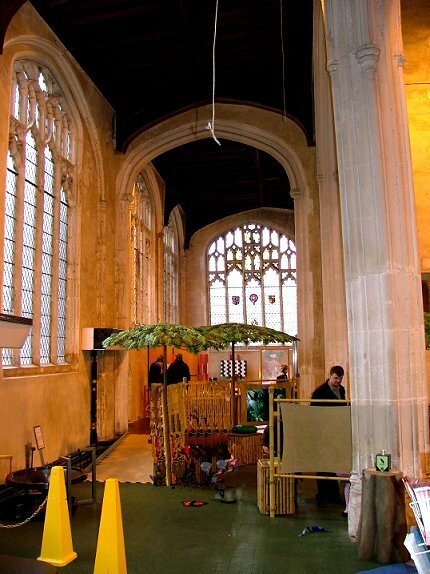 As at St George Colegate next door, it is like being inside a vast, square glasshouse. The pillars of the arcades are narrow and tall, and the aisle walls beyond echo them with a series of blank arcades, as though you might expect another aisle beyond them. 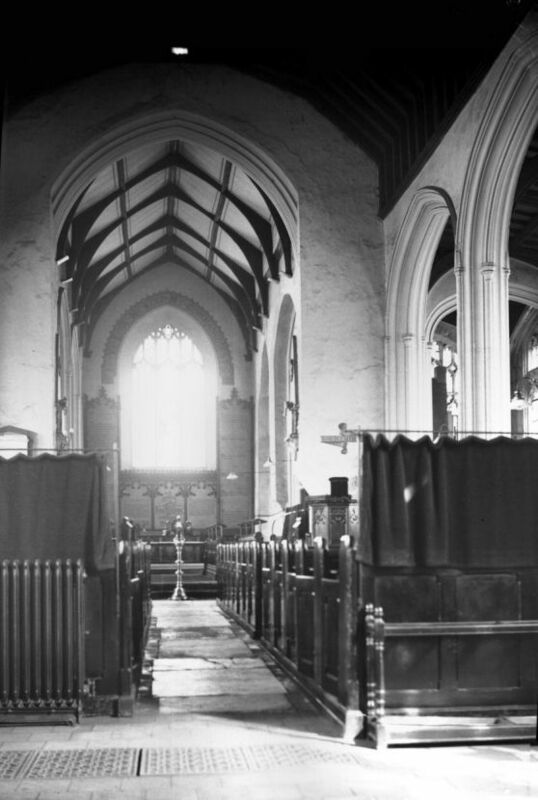 Although the church is, I am afraid, very dirty above head height, there is still a sense of whiteness, of lightness; I don't believe that this church ever had wall paintings and decorations, except above the chancel arch. 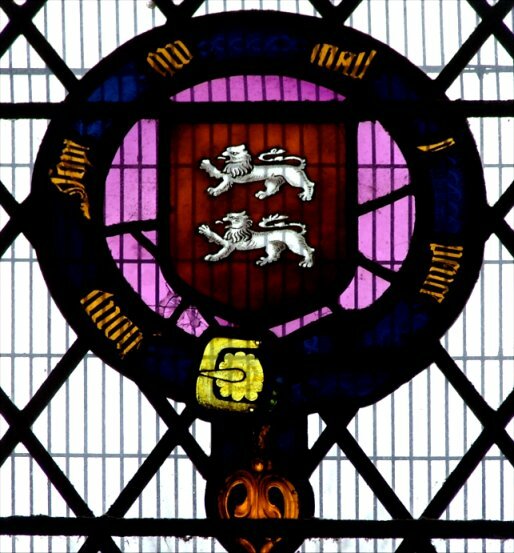 In the early 16th century, money for the elaboration of the church had been bequeathed by members of the Clerk, Thorp and Ramsey families. 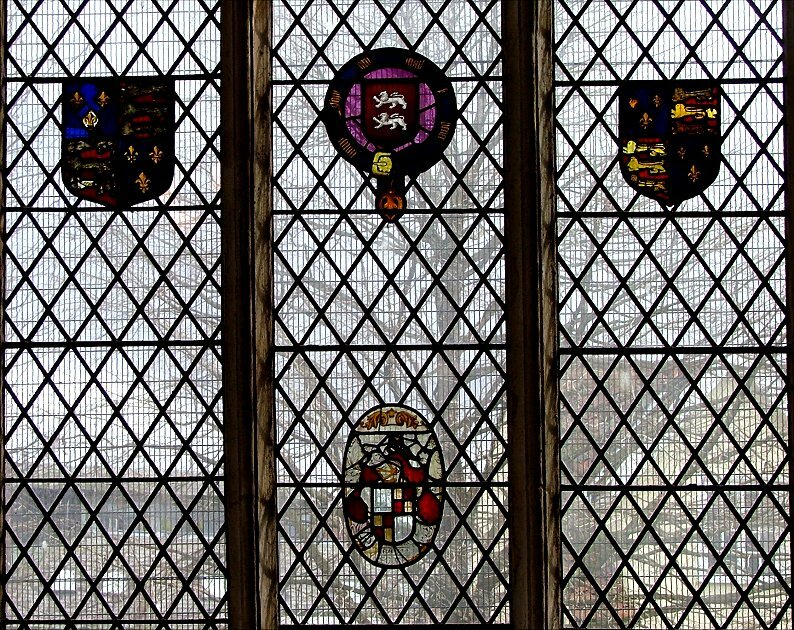 All the glass of that time has gone now, pretty much; there are a few surviving fragments reset in the east window of the north aisle, mainly canopy work. In the east window of the chancel, the Victorians placed a large deposition from the cross, which looks as if it might be continental work, or perhaps simply another clever Victorian counterfeit. All furnishings have been removed, presumably because as much space was wanted as possible when the building was a sports centre. 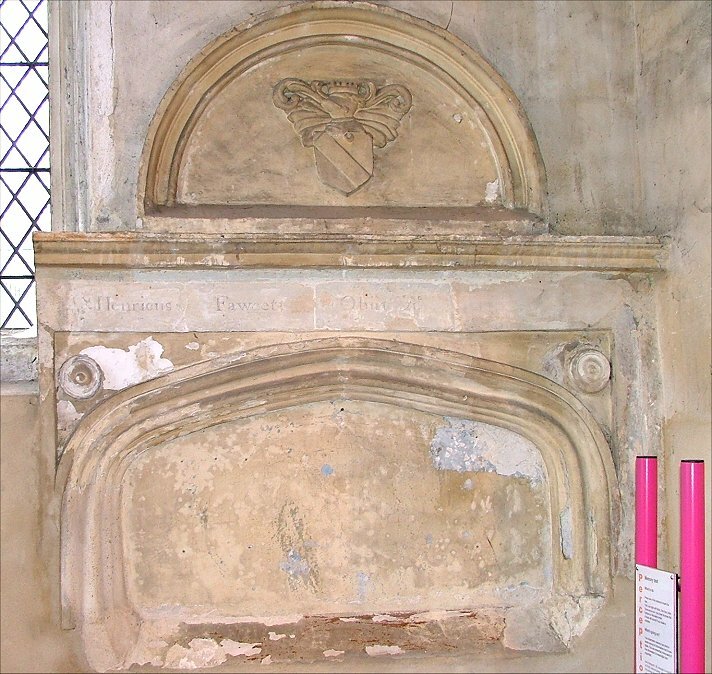 However, many of the memorials survive, collected in the south aisle and on the chancel arch. There are also two massive ones up in the gallery; if you compare George Plunkett's photograph of the west end to mine of 2006, you can see that these have both been moved up the wall to accomodate the gallery. 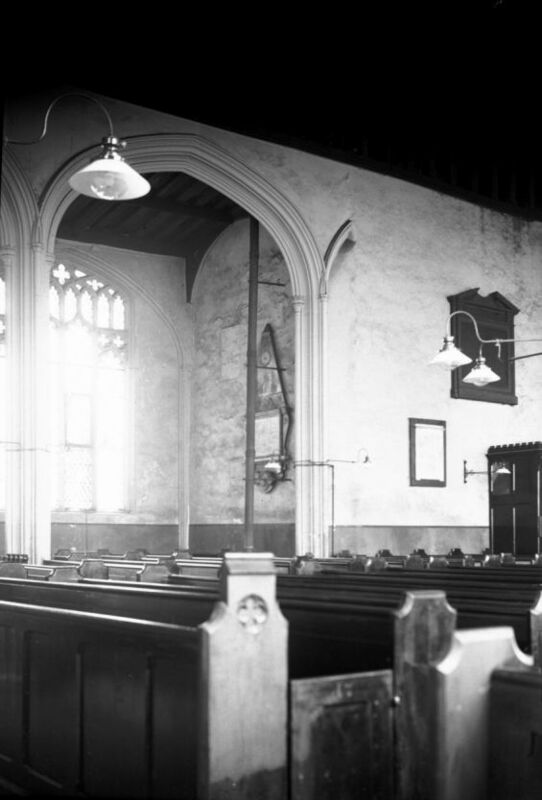 Curiously, of the two on the west wall of the south aisle to Thomas Wigg and Richard Boardman, only Boardman's appears in the 1938 photograph, so presumably the Victorians were not responsible for moving them all to their present positions. 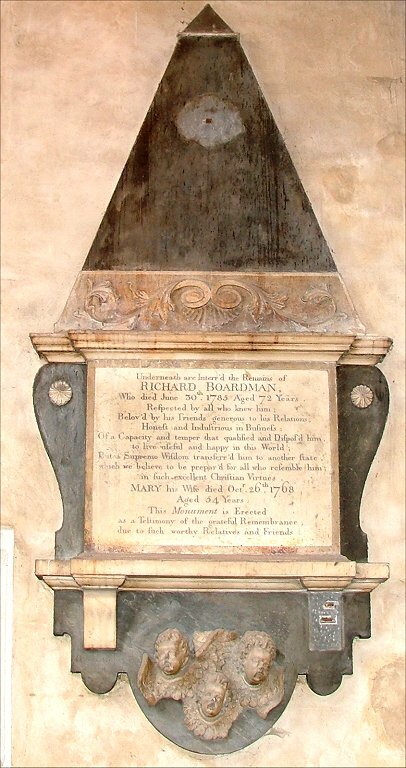 In the east end of the north aisle is what appears to be the remains of a late 16th or early 17th century memorial bearing the name Henry Fawcett. 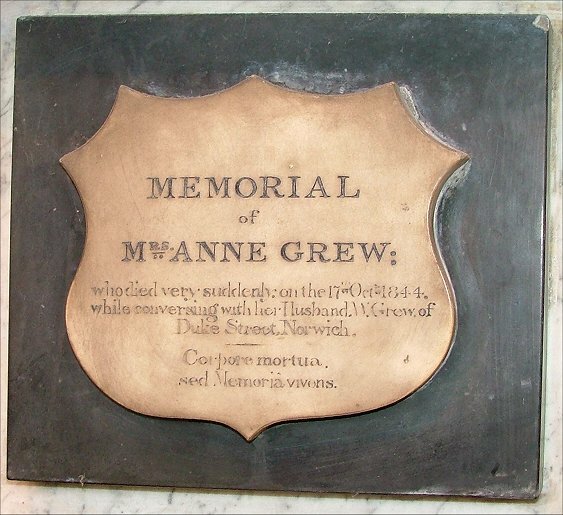 My favourite of all is a little one one on the north side of the chancel arch that reads simply: Memorial of Mrs Anne Grew, who died very suddenly on the 17th October 1844, while conversing with her husband W. Grew, of Duke Street, Norwich - Corpore Mortua, sed Memoria viveris ('her body is dead, but she lives on in the memory'). Inspire itself is worth a visit if you have children, although the staff are not terribly keen on you taking photographs, especially if you are a man. 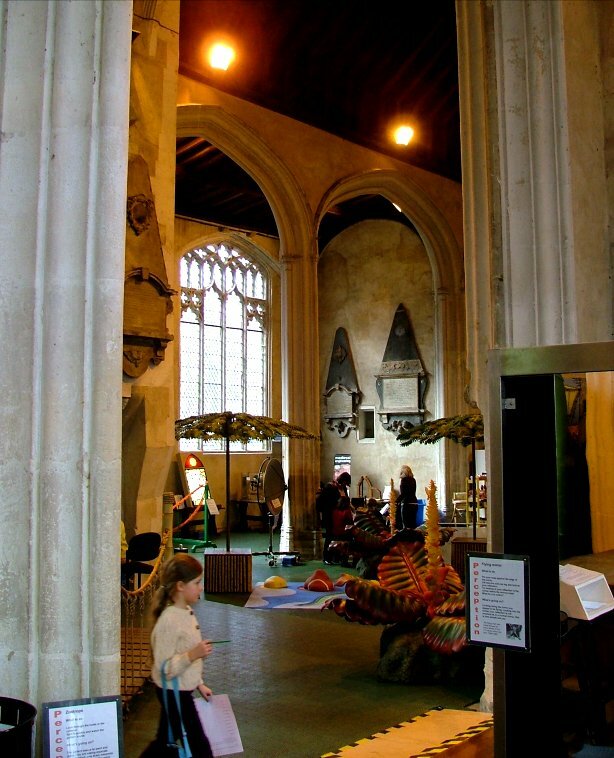 Entrance fees seem ambitiously high, perhaps to keep the riff-raff out, but as the father of two well-behaved middle class children myself I was pleased to take them with me and let them explore while I photographed the building. As you may imagine, it was not long before I was tapped on the shoulder and asked what I was doing, but I promised to try not to get anyone elses' children into the shots, and this seemed to appease her. The Inspire Discovery Centre has since closed, although obviously I take no credit for this.